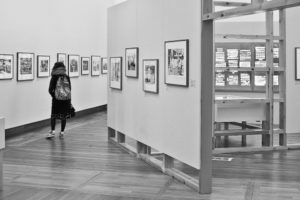 A review by Brian Human of Only in England, an exhibition of work by Tony Ray-Jones and Martin Parr, held at the Science Museum, London, 2013-2014. This is an exemplary exhibition. Bringing together vintage work by Tony Ray-Jones, a selection of his unpublished pictures and a welcome return of Martin Parr’s Non Conformists, it is visually arresting, photographically illuminating and conceptually thought-provoking. At a time when so much exhibition photography seems intent on bludgeoning the viewers into submission through sheer size and strong colour, Only in England seduces with modesty and the subtle, calming pleasures of monochrome. These are pictures that invite the viewer to get in close, to be drawn into the scene and enjoy the simplicity of gesture, expression and body language. There are multiple narratives to be teased out, apparent dislocations to be understood and mysteries outside the frame that become the subjects of conjecture. In the work of both artists this is achieved not least through marrying content with a strong sense of design, there are no dull or boring pictures. The exhibition also taps into the guilty pleasure of nostalgia. At a general level this may simply be a fascination with seeing how things were in the past, in having revealed something of a make do and mend society that seems so far removed from our on-line easy-credit world. At a personal level, and this applies to viewers of any age: we may be looking at ourselves, our parents, our grandparents, at our great grandparents, even. Through the images we are drawn into the worlds of our predecessors; and we may stop for a minute to reflect that in 45 years our lives today will be the object of nostalgia and curiosity too. Visually arresting images indeed. One of the pleasures of this exhibition photographically is the long overdue opportunity to see two important bodies of work that amount to some of the most significant British contributions to the medium in the second half of the 20th Century. Presenting them together is also an opportunity for comparison: the organised chaos and detachment of Ray-Jones; and the formality and engagement of Parr. And all credit to Martin Parr in allowing his work to be viewed in the unforgiving, critical light of a master, who he acknowledges as a major influence. A view of the exhibition at Media Space. What the exhibition also does very well is to try to explain how these extraordinary bodies of work were created. Both photographers understood the history of the medium and learned from their predecessors, Gary Winogrand, for example, in the case of Ray-Jones and Ray-Jones himself in the case of Parr, a history that was embedded in their training. The work that emerged was not the result of random, happy accidents. 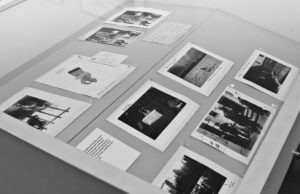 One thing the exhibition explores particularly successfully is Ray-Jones’s way of working through notes, diaries and source material – Ray-Jones was both photographer and sociologist. Projects were researched and planned and then time was put in on the ground, exploring the physical reality behind the ideas His apparently miraculous serendipity owed much, maybe everything, to opportunity meeting the prepared mind. 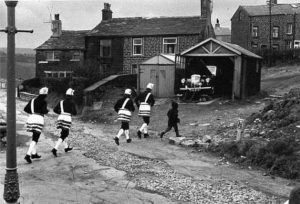 The exhibition also shows how much the success of the Non Conformists owed to Parr investing time and energy with the community in and around Hebden Bridge. The wall of enlarged contact sheets of Tony Ray-Jones work. Allied to this background rigor, the exhibition explores the practice of photography: the need for repeated visits to places; the importance of being patient; of getting in close; and of staying with the subject. 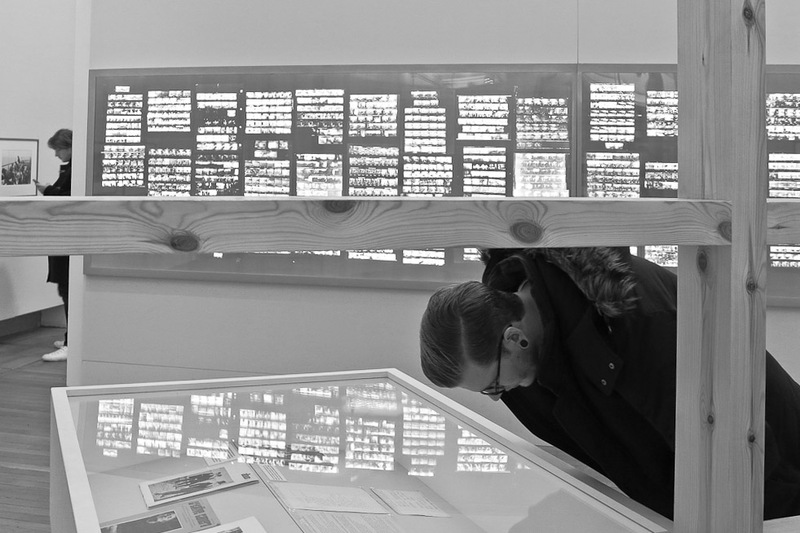 This is brought out in one of the strongest features of the show: the dramatic wall of contact sheets that demonstrates Ray-Jones’s commitment to working round a subject and selecting the telling image only after the most careful scrutiny. The need for continual self criticism in producing work of this calibre is reflected in the contact sheets. We used his published contact sheets extensively as invaluable teaching aids in the Beginners Workshops run by the Cambridge Darkroom. Thinking about the practice of photography, Only In England does pose a question as to whether or not similar work could be done now, at a time when people are sometimes more sensitive about being photographed by strangers, especially where children are involved. There are also the constraints imposed by worries about security and the creeping privatisation of public space enforced by uniformed jobsworths. Maybe this is not an issue: street photography is alive and well and Martin Parr continues to explore the world at play. Perhaps I was unduly sensitised by the ‘No Photography’ notice at the entrance to the exhibition – ‘only in England’, indeed, still, we do love irony. But what of the subject matter, what is the work, especially by Ray-Jones, all about? The introductory panel to the exhibition talks about Ray-Jones’s aim to ‘…record the English attachment to tradition and custom at a time he felt England was losing its cultural identity because of encroaching Americanisation’. 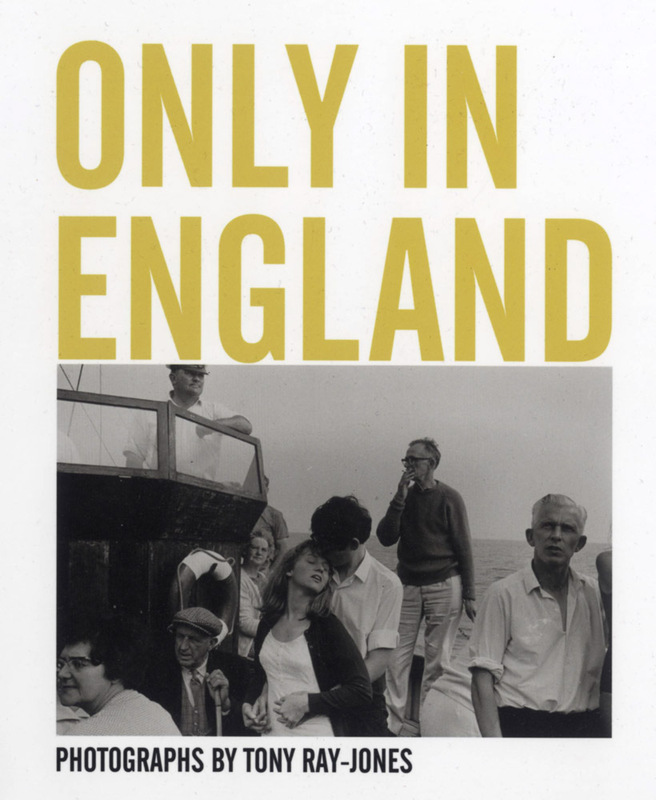 The essence is also captured in the title, ‘Only in England’. The words ‘non-conformity’, ‘absurdities’ and ‘eccentricities’ pepper the exhibition and the accompanying publication. Are these perspectives justified? First, it must be said that England does not have a monopoly of tradition and curious customs and events. One only has to look to the rest of Great Britain to see the truth of this; and there is no other country that does not have its own unique events that root that society in a shared history. England certainly does not have a monopoly on the absurd. Third, tradition and custom are resilient because that are not static phenomena. This is caught unwittingly in the caption to one of the photographs of the Bacup Coconut Dancers: ‘a tradition that dates back to 1857’. This is little more than a 100 years from the date of the photograph and represents just one of the many so called ‘traditions’ and aspects of ‘The Season’ that were effectively invented in the Victorian and Edwardian eras. In the same way new ‘traditions’ continue to emerge within our multicultural society, for example Glastonbury, the Notting Hill Carnival and the Worthing Birdman Competition. We can only speculate about their longevity. Original Ray-Jones prints, with printing notes. Fourth, does the partial, selective, nature of photography bias how we see these events? Yes. 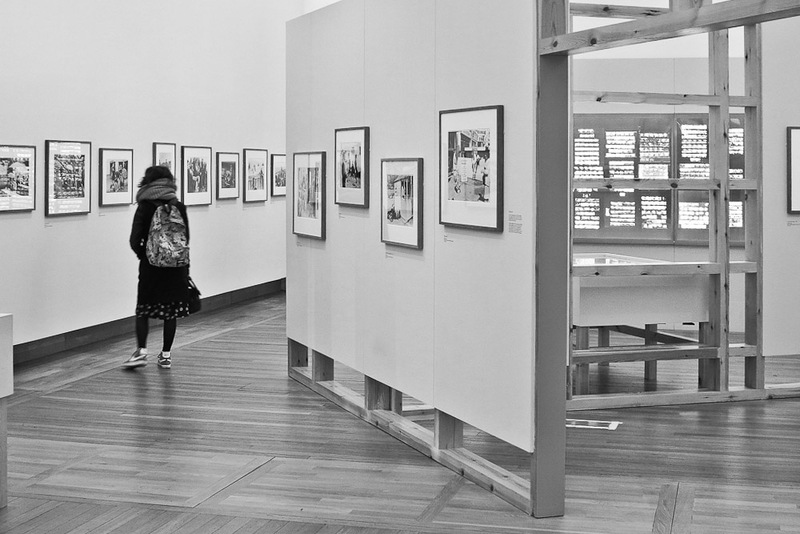 We have long known this about photography and the exhibition demonstrates it again in the comparison between the original Ray-Jones work and that selected by Parr, where formal balance replaces the organised chaos. The English may indeed be a strange breed, but there is an arguable case to be made that Ray-Jones does not merely observe absurdity and eccentricity, he creates them. So, this is a fine exhibition playing to photography’s strengths and working at a number of levels to give a wholly satisfying experience. I saw the first Ray-Jones exhibition at the ICA in 1968 and it is gratifying to see that his work has lost none of its ability to challenge, beguile and ultimately to enthuse.